Luu Quang Thai, chairman of Dong Xanh Company, on January 2 said that he would try his best to clear all debts that Dai Tan Ethanol Plant owes 21 creditors for material, food, loading and unloading costs, as soon as possible. Thai, who had been evading creditors for many days, said at a meeting at the company headquarters in Da Nang City that all debts would be cleared, after creditors asked for clear answers on method of clearing the debts. 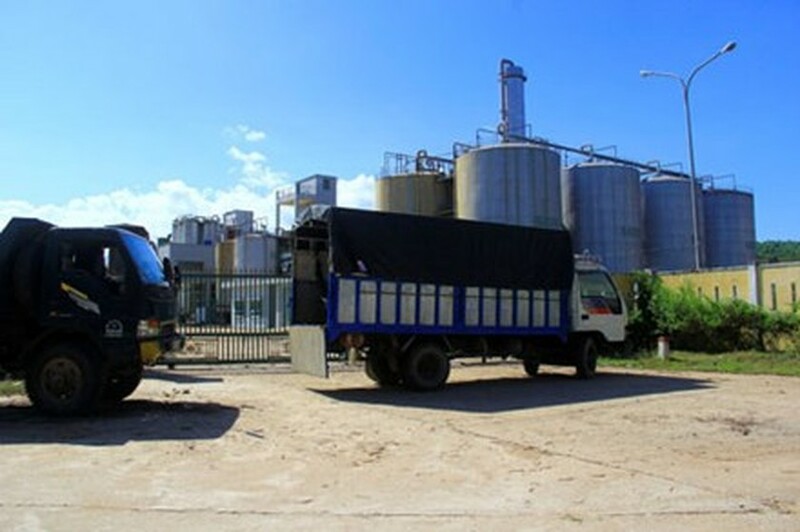 He said that because ethanol stocks in the warehouse of Dai Tan Ethanol Plant in Quang Nam Province had been mortgaged to Techcombank in Da Nang City as collateral for a loan of VND152 billion (US$7.3 million), he could not sell the products to pay debts. On January 3, Thai will have a meeting with the bank and propose to sell 50 percent of the above ethanol stock for about VND10 billion ($480,000) to pay creditors. The company will spend VND3 billion to pay salaries to workers of the ethanol plant and VND7 billion to pay the 21 creditors. Thai also said that the company would soon work with the People’s Committee in Quang Nam Province to seek financial assistance to clear debts of Dai Tan Ethanol Plant, which is a unit of Dong Xanh Company.